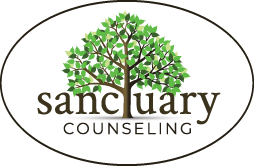 Month: November 2017 | Sanctuary Counseling, LLC. Questions to Ask in a Relationship: A.R.E you there? A.R.E you with me? You have likely heard some version of the importance of physical safety in relationships – and yes, this is essential! However, we tend to talk less about the importance of emotional safety in relationships. Feeling emotionally safe in your relationship goes even further than not being emotionally abused or manipulated (also essential!). Feeling emotionally safe can have everything to do with how emotionally available you view your partner as. Do you avoid talking about your frustrations or worries because you feel like it will be met with an eye roll? Maybe you predict that it will be brushed off completely? Maybe you’ve experienced these reactions so many times that you feel like it’s better to just keep your thoughts to yourself to avoid disappointment or rejection. Dr. Sue Johnson, in her book Hold Me Tight, discusses three questions you can ask yourself to assess how emotionally safe you feel in your relationship with your partner. A: Accessibility – can I reach you? R: Responsiveness – can I rely on you to respond to me emotionally? E: Engagement – do I know you will value me and stay close? If the answer seems to be no to even one of those questions, it may be time to examine how that can change. 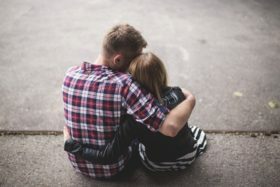 Thankfully, becoming more emotionally responsive and available is something that you and your partner can improve on if you don’t feel its presence. In the process, try to examine how emotionally available you are to your partner as well. Sometimes it’s easier to point out what your partner is doing that feels “wrong,” but true change comes from examining your own role as well and changing your responses and actions accordingly. These can be intense and difficult conversations to have, but feeling emotionally secure in your relationship is vital to its survival. Sue Johnson uses the acronym A.R.E. because all of your attempts to connect boil down to the questions: Are you there? Are you with me? You have to admit, life tends to feel more bearable when you know you have an unconditional safe place to land. What conversation can you have today to make this shift more viable for your current relationship?